The Double/SuperLeg continues in Guam as teams must make their way to Skydive Guam. Both team members must jump out of the plane to receive their next clue. But there are only three departures. 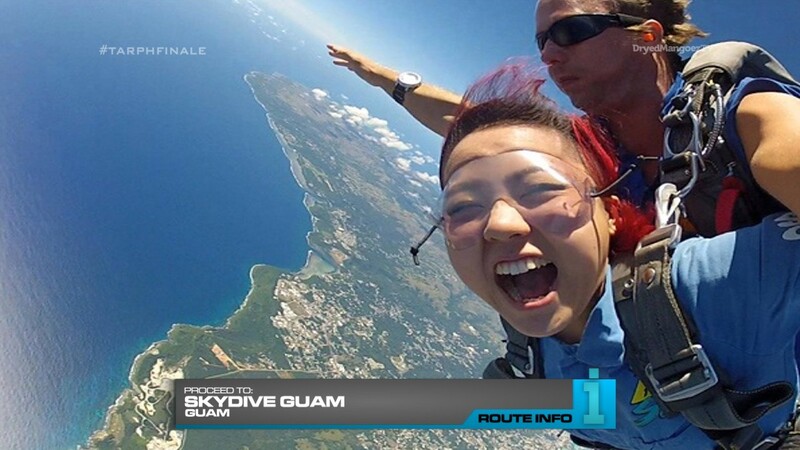 And the last, 4th team to arrive at Skydive Guam will unfortunately be eliminated on the spot. After skydiving, teams open the next clue telling them to go home! It’s time for them to return to the Philippines by flying into Manila and hopping on a charter bus that will drive them to Baguio City! Teams will get dropped off at Lion’s Head where they will find their next clue. 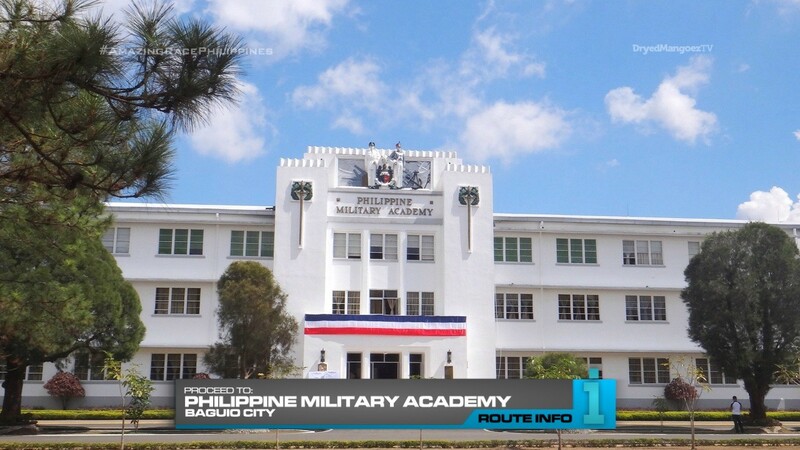 That clue points teams to Philippine Military Academy. And here, teams will find a Road Block: Who won’t get out of line? The Road Block count is currently back to zero, so either team member can do this Road Block. 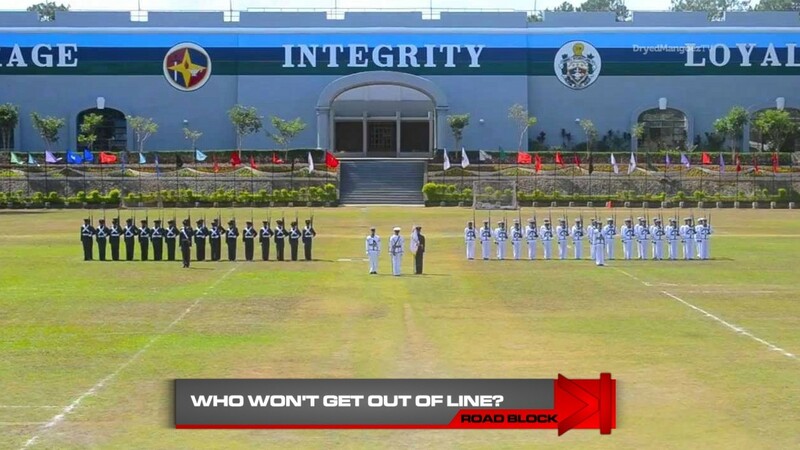 For this Road Block, teams will have to learn and perform a drill routine with the cadets. Once the drill sergeant approves of their skills, they will receive their next clue. 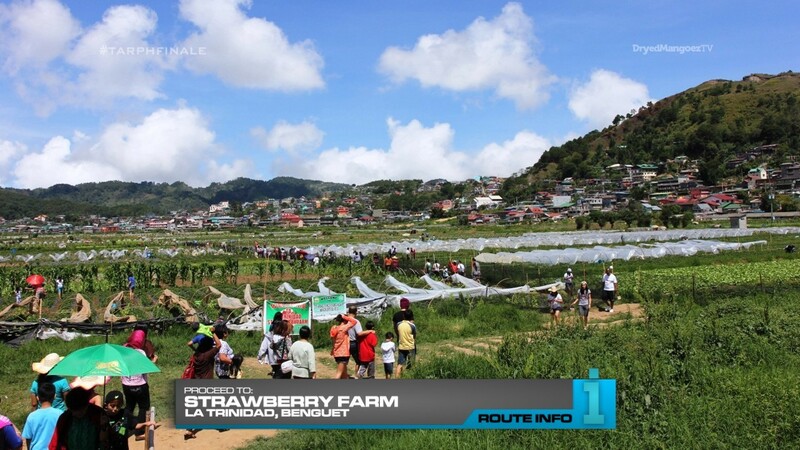 Teams must now make their way to the Strawberry Farm in La Trinidad. 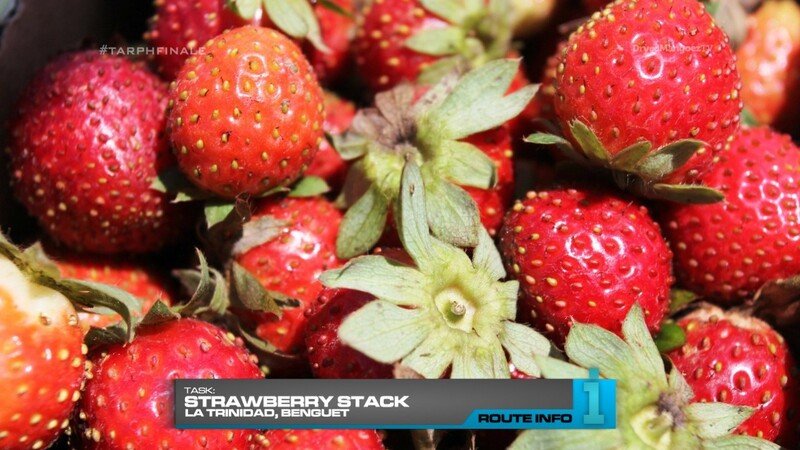 Here, teams will choose a bucket of strawberries and stack them to match an example. Teams will then need to carefully take their display across the farm to a platform where they will find their next clue. And that next clue can be found at Burnham Park. For the teams’ next task, they must choose one of three marked gongs and search amongst hundreds of locals playing gongs for one whose sound matches the one in their possession. Once they’ve found the matching gongs, they will exchange them for their next clue. 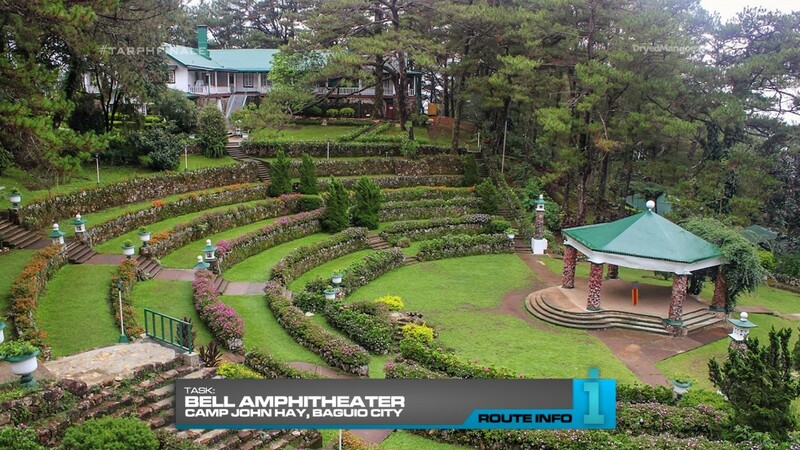 Teams must find Bell Amphitheater at Camp John Hay. 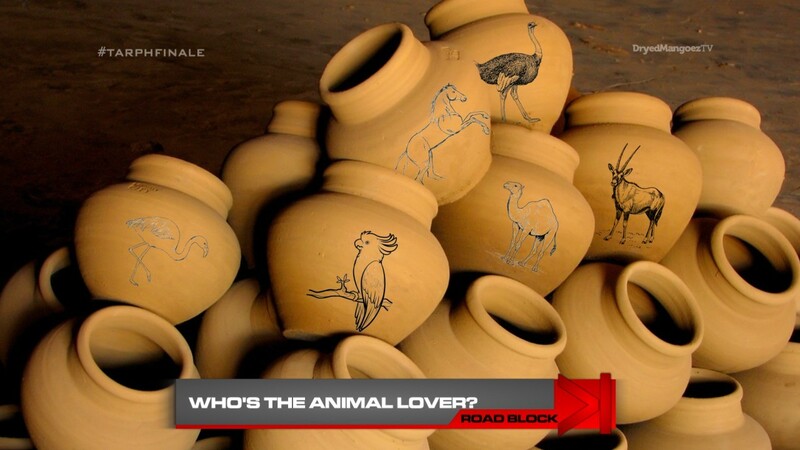 And teams will now face their Final Task, a Road Block: Who’s the animal lover? The team member who did not complete the first Road Block MUST perform this one. Once they have all seven, they must stack the pots in chronological order with the first animal on top and the most recent animal on the bottom. When they have all the pots in the correct position and the pots do not fall over and smash to pieces, they will receive their next clue. And that is the final clue of the Leg. Teams will hop onto bicycles to pedal themselves to the Finish Line! 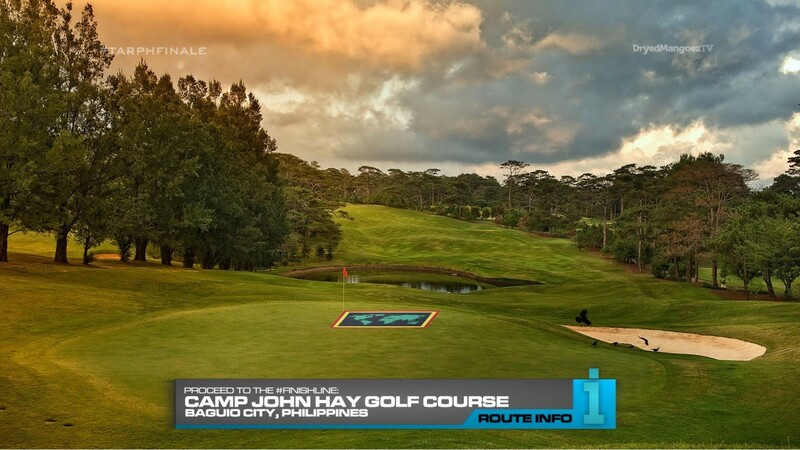 The Camp John Hay Golf Course. And of course, The Amazing Race Philippines. CONGRATULATIONS! And another season of TARPHDME is done! Yay!!! So first to this Final Leg. Man, it’s really tough to find a Finish Line location in the Philippines since there’s really not very many locations where you can have exciting tasks that haven’t already been done and visited by the actual TARPH. 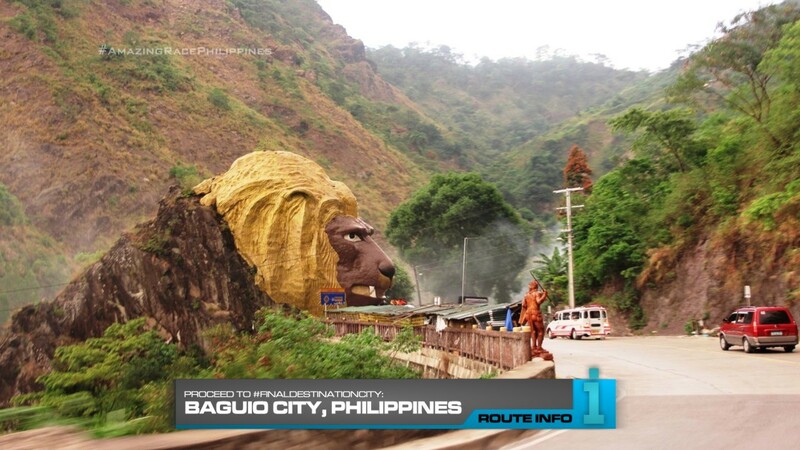 So back to Baguio for this one. Not very many possible tasks worthy of a Final Leg. Which is why I included that Guam skydive here just to say it’s part of this Leg. A PMA visit is pretty simple, as is the drill routine. The only thing would be to make sure this isn’t some linear task that basically decides the outcome for the rest of the Leg. There’s a good task somewhere involving gongs. Whether it’s making one or playing one or like this task, trying to find ones with the same sound and tone. I’m half-Kalingan (Kalinganian? ), but growing up here in the US, never really was around gongs much even though my dad is awesome with them and the traditional dances. First time I ever even held one was in 2009 after my college graduation and only then did I realize each gong has a different sound based on how it’s made. Or something. Hehe. And the final memory task combines bangas of the region with a totem pole concept (inspired by TAR3 and TAR23’s final tasks) using animals they encountered on the Race. Though the ostrich and the birds are on Detours which some teams might not have even attempted. But like the memory task of TARPHDM1, the animals were present at the Detour clue box so they would’ve at least seen them. And the Finish Line at the golf course. It’s a nearby location teams can walk or bike to. Overall, this really was a back to basics season. Admittedly, some Legs were very basic indeed! lol I really like the Brave Family-inspired Laos Leg and the winter sports Kazakhstan Leg. The dune bashing Detour in Qatar is also a highlight if executed well. But anyway, another successful TARPHDME season! It’s been renewed for at least two more! Yayayay!